It is a pleasure to welcome science influencer and YouTube content creator Nick Uhas to Jake’s Take. Nick started his media career at 17-years-old when he was a professional stunt rollerblader for the Team Rollerblade USA. When he was not skating, Nick attended college and studied video production at Yale University and biological sciences at Ohio State University. At Ohio State University, Nick worked for the anatomical science department and had his work on organic chemistry published. 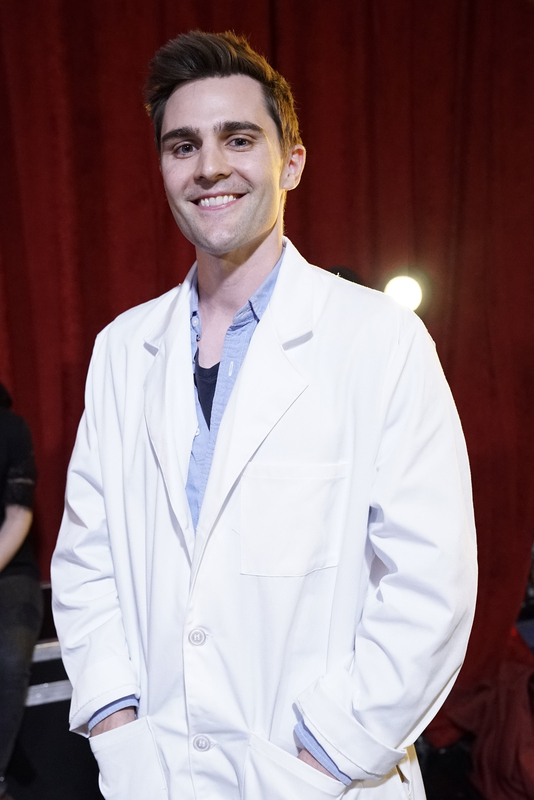 Nick turned his love for science to YouTube, where he started his pop science viral series Nickipedia. Some of the experiments that Nick conducted included transforming coffee into charcoal, creating the perfect foam fountain, and putting a hot dog in hydrogen peroxide. Nick’s videos have been viewed over 16 million times. These videos have also led him to numerous appearances on numerous television shows such as The Today Show, The Dr. Oz Show, and America’s Got Talent. In this edition of “A Conversation,” Nick opened up about celebrating his tenth anniversary on YouTube, opened up about his creative process, and talked about his best YouTube videos that he produced. Jacob Elyachar: When did you get interested in science? How did that passion evolve into the desire of pursuing a career with science? 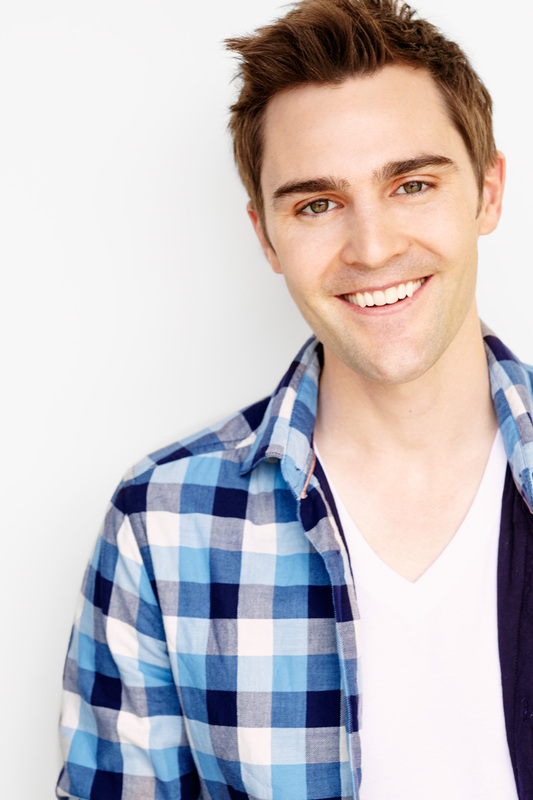 Nick Uhas: I got interested in science at a super early age. When I was in the sixth grade, we went on this field trip to a place called Little Darby Creek [in Ohio], and we looked at things under a microscope for the first time. In high school, I leaned more towards biology in high school, and it became my major in college, where I was also a pre-med student. I took it super seriously, became a turbo nerd, and I spent all my time in my library. I was also a published chemist and worked at Ohio State University’s anatomy and physiology department. I sank my teeth into the sciences. In the beginning, all I knew was in the textbooks. After college, I realized that I was interested in things in science, engineering, and in that realm of learning. Eventually, it was partnered with what I do as a YouTube creator and for a living. I spent a majority of my college at Ohio State University, but in my last year of college, I attended Yale and studied economics and video production. That summer I met a guy named Kurt Hugo Schneider who is a colossal YouTuber, and his channel has over 10 million subscribers. Watching him operate as a producer, got me interested in video production. I decided to combine my love for science with video production to create a YouTube channel. Jacob Elyachar: Speaking of YouTube, in November you will celebrate your tenth anniversary on YouTube. How has your content evolved since you first started sharing videos on the site? Nick Uhas: A lot of people do not know this, but back in the day I was a professional stunt rollerblader. I turned pro when I was 19-years-old. My first videos were actually all skating videos. The first video I ever uploaded was where I was rollerblading and doing all of these tricks. Initially, I wanted to build up my YouTube channel around rollerblading and showcasing stuff related to the X Games. I stopped uploading content for three years because I was in New York City. During my time in New York, I worked in production and also acted and modeled. I also wanted to know how the entertainment industry worked. After those three years, I came back and rebooted my YouTube channel. It was a HORRIBLE idea! Never restart your YouTube channel! If you are going to do something new with different content, start a new YouTube channel. YouTube is very algorithmic and tech-based, and I had a tough time converting old subscribers to new followers. It was also a challenge to get engagement rates up. It is significantly harder to reboot a YouTube channel that has been dormant for a long time than it is to start fresh. I think I learned my lesson regarding restarting my channel. I admit that I was stubborn, and I wanted it to be on the same channel, and I did not want to create a secondary channel. What’s interesting is that I found out about this algorithmic type of stuff a little late in the game. My team and I were already on our way by sinking our teeth into creating content and devoting to the craft. I thought, “Wow! We should have started from zero.” It is fascinating how my personal YouTube channel has evolved. I have taken my skating videos off of the channel and put them in an “Unlisted” category because they have nothing to do with where I started. If people go back all the way to my catalog, the first video is “Why is the grass green?” and that was the birth of Nickipedia. Once I rebranded the channel with science-based videos, I had to remove the other videos. Jacob Elyachar: What are some of the biggest challenges that you faced throughout your career? How did you overcome these obstacles? Nick Uhas: I am going to break this response down into several tiers. Tier one represents big problems, which takes years and years to tackle. Tier two represents my day-to-day stuff, and tier three poses the challenges I face on the day of filming. The overarching biggest problem is staying with your original mindset, but also being flexible enough to create content that people want. When I started Nickipedia, I tried to develop science-based educational content that people liked, were engaged to and would continue to watch. It also had to be somewhat new because I could not just copy somebody because no one would want to watch that material. My overarching biggest struggle is just sticking with YouTube and not ever getting so unmotivated that you one day quit. There are moments that I thought to myself: “Why am I doing this? I should stop doing this! If I put this much effort into anything else, I would probably be much happier. I don’t know why on Earth I am doing this!” I also thought that “Everyone has this moment of doubt and scrapes through the bottom with the ‘Oh my gosh! I am never going to make it. However, one day you start seeing little glimpses of success, and before you know it, you will go: “This is amazing! I cannot believe that we are here!” In my mind, we have not “arrived” yet, but we are along the pathway of becoming a full-fledged YouTube channel. We have had so many opportunities in the world of science and entertainment that I have been very appreciative of that helped us to get where we have over 185,000 subscribers. Describing the week-to-week problems might be boring, but it is a true statement. It is a struggle to find people, who can do the job and produce the content that meets my standards. I love every video concept and every end product. But, it has to be perfect. There is not a second of a video that is not awesome. However, to find somebody that does not own the video or doesn’t have a say in the game, but care about it as much as you do is very hard to find. It takes a lot of trial and error. I have an excellent team supporting me who cares very much about the stuff that we produce and put onto YouTube. They are very involved in the finished products, and it has been a tough learning process. As for the day-to-day issues, the latest thing that has been the most difficult is finding the right balance of all the different opportunities that come up. I have been given so many opportunities, and I want to do it all. But, my team and I have to find the opportunities that are the best fit. Jacob Elyachar: What have been some of the best YouTube videos that you have ever produced? What made them stand out? Nick Uhas: Nickipedia’s most viewed video involves a liquid sand pool. It was a borrowed concept from a super awesome guy named Mark Rober, who is a former NASA engineer that has a much larger following on YouTube. My team and I thought that his experiment was cool, and we felt that we could make the experiment bigger. We hoped that the liquid sand pool could fit an actual person. We took dry sand and pumped nitrogen gas into the pool that turned the dry sand into a fluid-like material. Someone called it a “liquid sand pool,” even though there was no actual liquid in the sand pool. Even though the video was viewed over 7 million times, there have been others that have been super well produced that I am proud of that have not gotten as many views. There is this video called “Indonesian Blue Fire.” I took a 19-hour trip to East Java, Indonesia. When I got there, I hiked down into the Volcanic Crater of Ijen. The reason why we did it is East Java is the only place in the world where there is a natural sulfur gas flow coming up out of a crater that is at such purity and such quantity that as it comes out of the ground that is so hot that when it reaches the oxygen-rich atmosphere, it bursts into 20-foot-tall flames. The flames are toxic, and the sulfur dioxide in the air will kill you, so I had to wear a gas mask when I walked into the Volcanic Crater of Ijen. We filmed this whole experience, which was super crazy! When we got back home, we decided that we wanted to recreate the Indonesian Blue Fire with a chunk of sulfur that I brought home to the United States. I don’t think that video gets as much love for how insane it is. Jacob Elyachar: Your work has been featured on numerous television shows such as America’s Got Talent, The Dr. Oz Show, and The Today Show. What have been some of your favorite moments from those appearances? Nick Uhas: One of the things that is disconnected from YouTube is that I never get to see the faces of whoever watches the video. I can read the comments, but you don’t get to see reactions in real time. One of the coolest things that I get to do with what I call “live staged science experiments” is that you get to see people’s reactions and you can hear them gasp and scream “Whoa!” I think that it is the thing that I like the most. When I visited The Today Show, I was so hyper-focused on the experiments, that I did not have the chance to see how the audience reacted. Live television also takes on an element of coolness on its own, because it has to be done perfectly. There is no room for error. When you complete a live segment, it often feels like you won some sporting match. It feels like a pat on your back moment, where you say: “You did it!” “You survived!” and “It all worked out!” Going on both The Dr. Oz Show and the pre-taped shows of America’s Got Talent (AGT) was exciting because it is cool to see these shows that I have always seen on television and I had the chance to be a part of them. If you wanted to, you could be a guest on multiple different shows. Talent bookers could start asking you to come onto their shows as guests; then you begin to feel like you are a part of that ecosystem and a part of the TV world. Plus, Dr. Oz is a cool person, and both AGT’s Howie Mandel and Tyra Banks are super lovely people. Jacob Elyachar: If my readers browsed through your channel, they would notice that you have done several collaborations with various YouTube personalities. Who would you like to collaborate with in the future? Why would you want to work with them? Nick Uhas: Absolutely! The YouTubers that we have done collaborations with include the Smosh Squad and CaptainSparklez (Jordan Maron), who is a big gamer. Also, we have worked with the pocket.watch Challenge Squad and Physics Girl herself, Dianna Cowern. In addition to working with these YouTube content creators, we also worked with several media companies including Dreamworks and Buzzfeed. I would love to work with both Smarter Every Day’s Destin Sandlin and Mark Rober. They are big science names and have been in this area for so long that their knowledge and expertise would not only be beneficial, but it would also be a huge leap forward for me if we worked together. It would be a dream come true to work with them. For more information about Nick, visit his website. You can also connect with Nick on social media. Visit his Facebook, Instagram, Twitter, & YouTube channels.